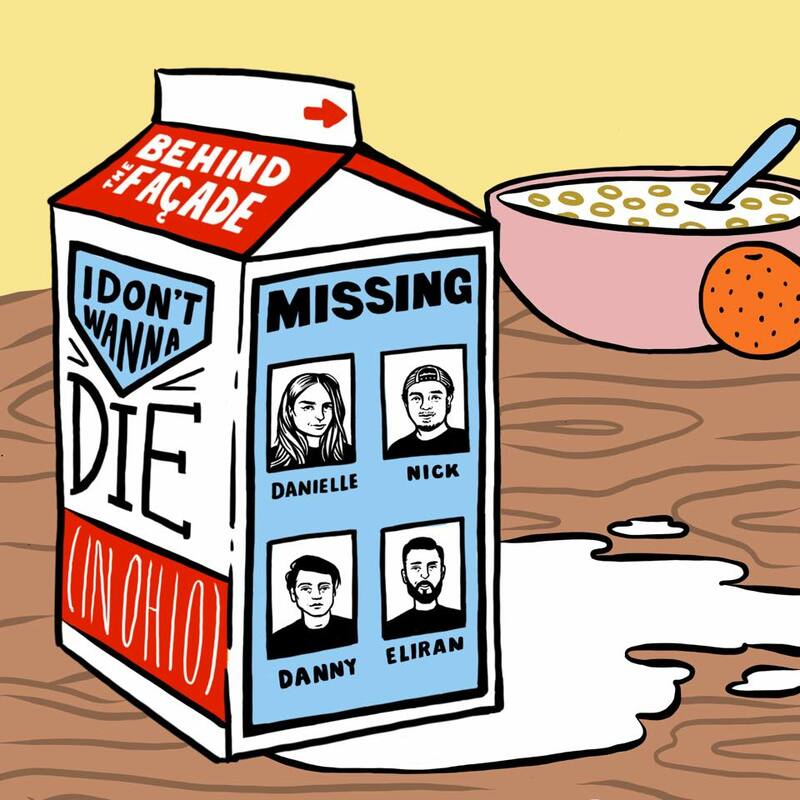 Watch Behind The Façade's Music Video To Their Single - "I Don't Wanna Die (In Ohio)"
This one’s for all you daring spring breaker’s out there!! Watch out for the crazies! Danielle Minch: guitar & vocals, Nick Quiles: bass & vocals, Danny Briones: guitar & vocals ,Eliran Malakov: drums. Co-directed, edited, conformed & sound designed by Danielle Minch, Co-directed, filmed & colored by Joe Marte. Ryan Dempsey as "The crazy old dude"
Filmed in a beautiful Airb&b in Ohio, Danielle Minch, Nick Quiles, Danny Briones and Eliran Malakov narrowly escape a house of horror from a four-eyed lunatic. Watch the music video above and make sure to download/stream their latest single on all music digital music streaming platforms. The Queens-based band will be performing with Patch Kid during his EP release show at The Well in Brooklyn this Friday - 03-23-2019.